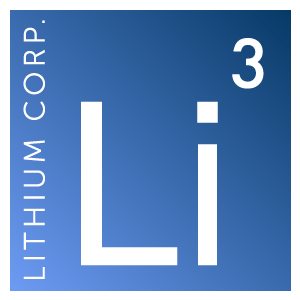 Elko, NV – May 29, 2018 – Lithium Corporation [OTCQB:LTUM] “the Company” is pleased to announce that it has recently begun its 2018 trenching program to the east of the Weather Station Showing at its BC Sugar flake graphite prospect in British Columbia. Previous trenching in 2015 in the area of the Weather Station Showing exposed a 226 foot (69 meter) variably mineralized section of relatively coarse grained flake graphite mineralization, that remains open in all directions. This broader intercept included a 98 foot (30 meter section) grading 2.73% graphitic carbon, and this section in turn included a 39 foot (12 meter) intercept of 2.99% graphitic carbon, all in a variably weathered friable gneissic host rock. This year’s trenching program will focus on an area approximately 0.6 miles (1 kilometer) along strike and to the east from the Weather Station Showing, in an area where a number of unresolved EM geophysical anomalies were detected during the Spring 2015 geophysical program.